There are seven learning areas that provide learner expectations for Alberta Education's Kindergarten Program of Statement: Early Literacy, Early Numeracy, Citizenship and Identity, Environment and Community Awareness, Personal and Social Responsibility, Physical Skills and Well-Being, and Creative Expression. As is stated in the Kindergarten Program Statement (2008), many of the learning outcomes will be accomplished simultaneously. As such, examples of learning activities may be listed under more than one learning area. The learning activities listed all involve some form of play and are developmentally appropriate for Kindergarten students. 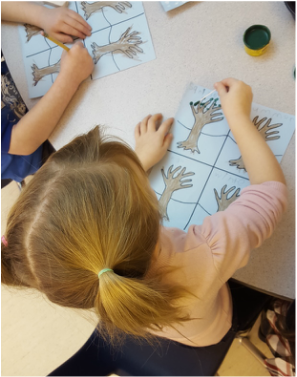 Alberta Education's Kindergarten Program Statement explains how "early literacy focuses on children being actively engaged in acquiring language and constructing their own understanding of how oral and written language works" (2008). Teachers support student engagement by introducing play in many facets of building literacy skills. There are five strands of the English Language Arts/Early Literacy curriculum: listening, speaking, reading, writing, viewing, and representing. While playing, students regularly are building their listening, speaking, viewing and representing skills. Students learn to meet different General Learning Expectations as they “explore thoughts, ideas, feelings and experiences” through dramatic play; “comprehend and respond personally and critically to oral, print and other media texts” through retelling of stories using props; “manage ideas and information” through referring to pictures of towers in order to build their own; “enhance the clarity and artistry of communication” through painting their names; and “respect, support, and collaborate with others” by working together to build puzzles. 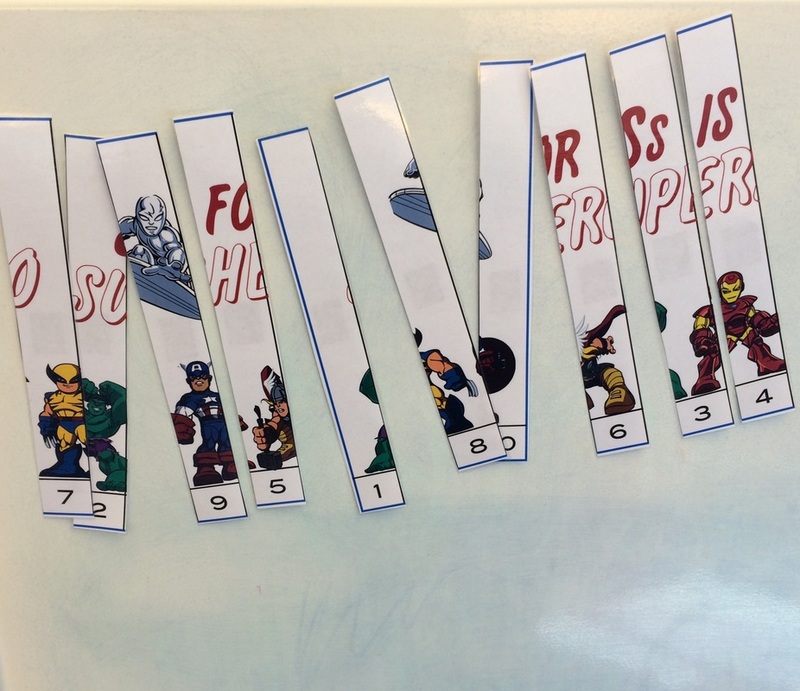 A student copies text to print the names of his favourite superheroes. 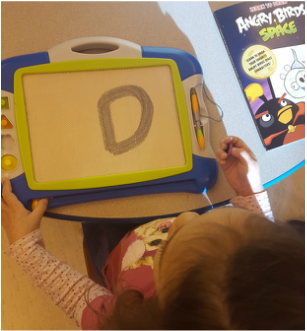 A student experiments with artistry when practicing letters. Through play students explain the characters, setting, and plot within the stories they are creating. For successful learning and living, numeracy is as important as literacy is. “To discover and make meaning of an increasingly complex and evolving world, students need the confidence and habits of mind to acquire, create, connect and communicate information in a variety of contexts, going beyond the basic skills of reading, writing and solving simple arithmetic problems” (Alberta Education). Prior to Kindergarten, children are already curious and working to make meaning of their surroundings. 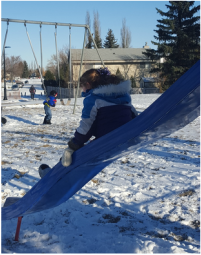 Alberta Education’s Kindergarten Program Statement (2008) states that learning mathematics is rooted in various activities including play! In the Kindergarten classroom, students meet General Learning Expectations of developing number sense, creating patterns, and sorting by playing with manipulatives such as beads or superhero magnet games. 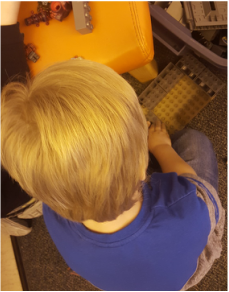 Students also meet General Learning Expectations of understanding shape and space by playing with building blocks, lego, and putting together puzzles. Students make sense of manipulatives when learning sorting and patterning. Students learn numbers while stacking cups. ​Students develop understanding of shape and space by playing with manipulatives. ​Alberta Education’s Kindergarten Citizenship and Identity curriculum introduces students to the eight strands of Social Studies: Citizenship; Identity; Economics and Resources; The Land (Places and People); Culture and Community; Time, Continuity and Change; Global Connections; and Power, Authority, and Decision Making. Students begin to develop the attitudes, skills and knowledge to build a sense of identity and understanding of what makes them unique and to create connections with others and a sense of belonging in their community. Students have engaged in play through drawing and colouring self portraits and representations of things and people that they appreciate. Moreover, on a focus towards ethical citizenship, some students also have had the opportunity to participate in dramatic play where they had to work cooperatively to help others by playing doctor, house, and “save the heroes.” Lastly, involving a real world audience is always meaningful and beneficial for students. One class was lucky enough to visit the extremely busy and hard working grade fives and “saved the day” by helping them organize a giant mess! ​being ethical citizens within their school. Students role-play games such as house as they learn the rules and demonstrate their knowledge of how all belong to a group. Students use creative expression when learning about the four seasons and how we adapt to the changes in weather. A student uses blocks to build a skyline to use within the dramatic play centre. ​Alberta Education’s Kindergarten Program Statement (2008) includes this learning area in order to focus “on the personal and management skills necessary for effective learning across all subject areas.” The General Learner Expectations include that the student “develops positive attitudes and behaviours toward learning,” “accepts and practices responsibility,” “demonstrates and practices independence,” “experiences and expresses feelings in socially acceptable ways,” “develops positive relationships with others,” and contributes to group activities.” Students develop these skills and attitudes as they join in games and activities. Through play at recess or during free centres, students converse and express preference, show respect for self and others, take responsibility, seek help as needed, completes tasks independently, explores feelings, encourage others, take turns, share, and identify and learn to find ways to resolve conflict. ​play and share similar interests. Students both practice independence and learn to express feelings through play at recess. ​General Learner Expectations of this curriculum help students develop the knowledge, skill, and attitudes in order for them to live a healthy and active lifestyle (Kindergarten Program Statement, 2008). In the Kindergarten classroom, students “acquire basic locomotor, nonlocomotor, and manipulative skills through developmentally appropriate movement activities in a variety or environments,” “develop fine motor and perceptual motor skills through participation in a variety of activities,” “develop attitudes and behaviours that promotes a healthy lifestyle, wellness and safety for self and others,” and “assume responsibility to lead an active way of life.” Alberta Education (2008) gives examples of activities that occur and their benefits for gross motor: "Through movement, games and activities, using such equipment as balls (and) bean bags... children develop coordinated movement, balance and stability." Furthermore, students develop these skills through activities such as recess and skating. Alberta Education (2008) also sets out ways to develop fine motor skills: “children develop finger and hand precision and eye-hand coordination through activities in which they use objects like beads, blocks, puzzles and scissors.” During centre and full group activities, students partake in all of these activities. Students develop gross motor abilities when learning to skate. They develop coordinated movement, balance and stability. Students develop fine motor abilities through q-tip star painting. 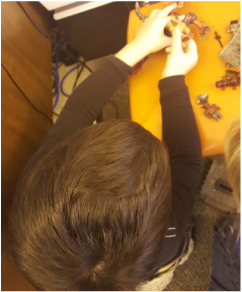 Students develop finger and hand precision and eye- coordination through puzzle building. ​Kindergarten allows for many opportunities to show creative expression. Students have regular movement breaks as well as partake in musical activities, drama, games, and visual arts. Through these activities “children grow in self-awareness and self-confidence and develop their imaginative and creative thought” (Alberta Education, 2008). As each student “explores self-expression through creative thought and through language, art, movement, music and drama” as well as “becomes aware of various forms of expression,” the student meets the Alberta Program of Studies General Learner Expectations. Some examples of ways students have met these outcomes are when dancing during brain breaks; playing with and making our own puppets; participating in dramatic play centres, including a superhero dress up station; experimenting with art supplies; and partaking in actions songs and poems. Students participate in drama activities during brain breaks. A student shows evidence of creative thought through her paintings. Students experiment with art supplies to create their own superhero stick puppets. ​The ICT curriculum is not specific for kindergarten, but instead is for Division 1 (grades one - three). However, in kindergarten we start to cover some of the curriculum including teaching students the foundational operations, knowledge and concepts of working on the computers. Specifically, students have been learning “proper posture,” “safe behaviours when using technology,” and “performing basic computer operations” (Alberta Education). While students are meeting these outcomes they are playing a variety of computer games that involve learning letters numbers, patterns, shapes, and other fun activities.